Not much is known about the life of St Padarn; he was born in 6th century Wales around the same time as St David, though he never achieved the same popularity. He lived in the south and south-west of the country and is best known for founding a monastery here at Llanbadarn Fawr, just outside the sprawl of modern Aberystwyth. The present church is much later, built in 1257 after a fire destroyed an earlier structure on the same spot. 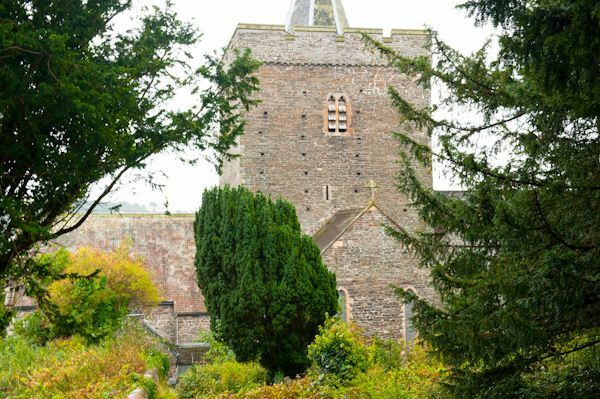 The church was enlarged in the 14th century and restored in the Victorian period. The first thing you notice about St Padarn's church is the sheer size of the building; it seems to loom over everything else in the village. The arch over the south door is said to have come here from Strata Florida Abbey. By far the most interesting feature of this attractive building are a pair of early stone crosses displayed in a small museum in the south transept. 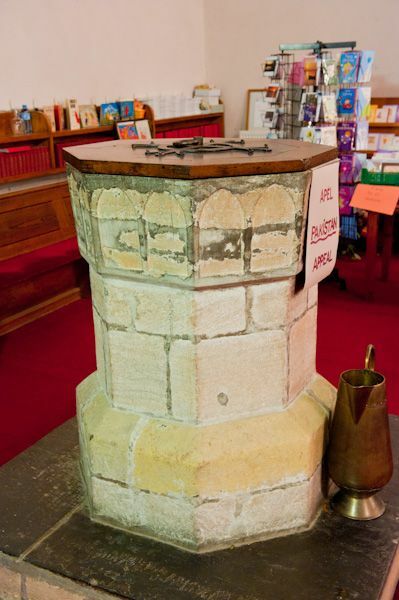 They once stood in the churchyard but have now been brought inside for preservation. 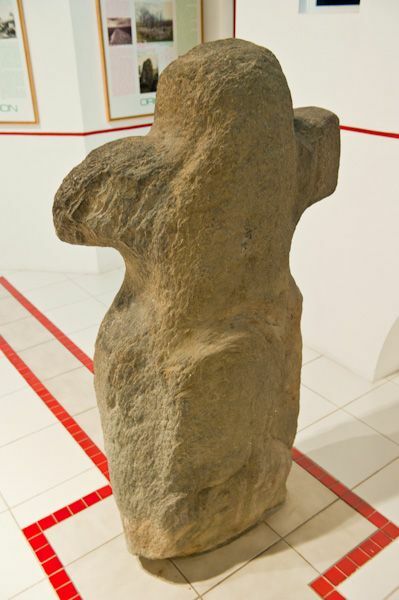 The crosses could not be more different; one is sort and squat, with clear arms to each side, in a style reminiscent of pagan 'Earth Mother' figurines. 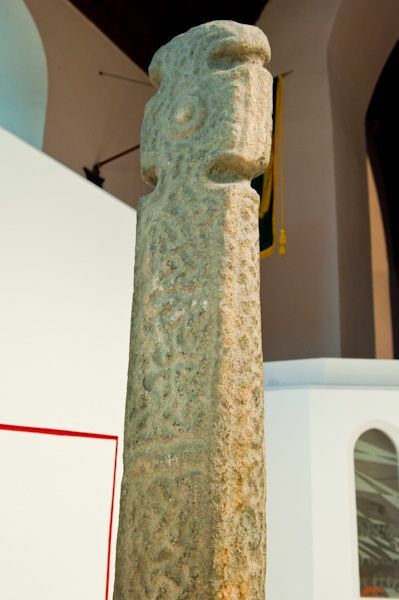 The second cross is tall and slender and is carved with beautiful figures in traditional Welsh style. 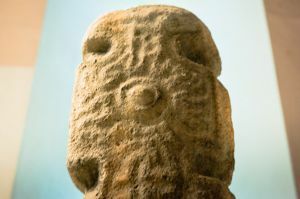 One figure in particular, which looks much like the figure of a saint, is inscribed low on the north face. 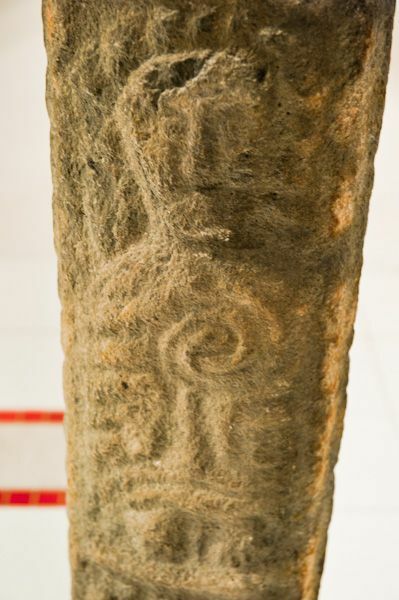 This is attractively carved, though much worn. 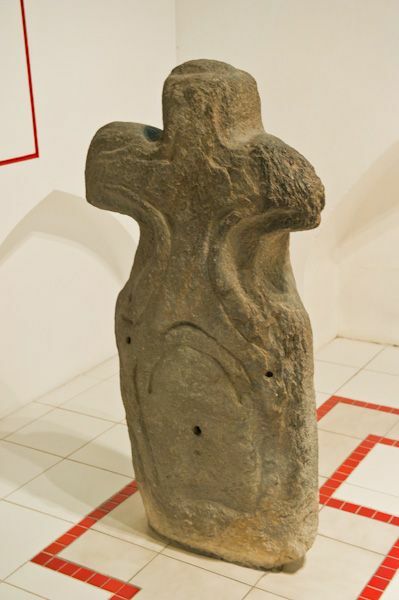 The crosses probably date to between the 9th and 11th centuries. 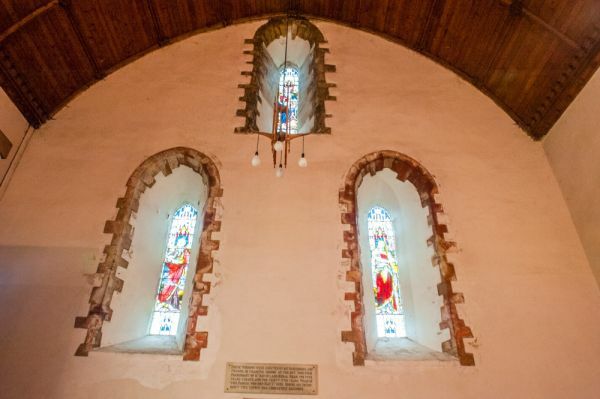 The small museum in the south transept depicts the rich history of the area, with displays on St Padarn, and local people like William Morgan, who was once vicar here. 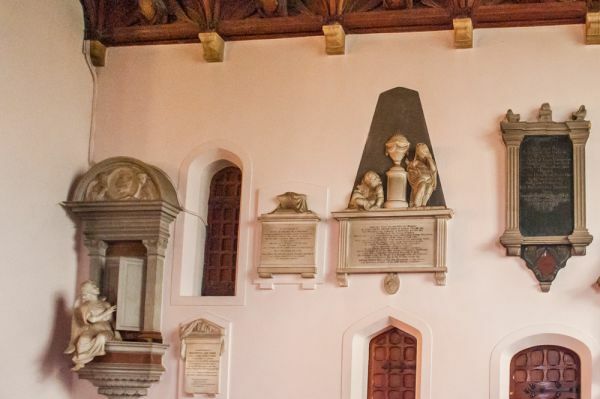 Morgan is known for translating the Bible into Welsh in 1588. A copy of Morgan's Bible is displayed here. Another display tells the life story of Sulien, twice Bishop of St David's, and leader of the clas community at Llanbadarn Fawr. Don't confuse this Llanbadarn Fawr with the village of the same name near Llandrindod Wells. The church is attractive and of historical interest, but the real attraction here is the pair of early crosses, which make for fascinating study.